Busking is an established practice in many countries, where the government designates spaces in the city for street performances. There are different reasons why performers choose to take this route. Some use it as a means to earn a living, others do it to gain exposure and increase their confidence, and some simply do it because they enjoying playing music. However, busking can be quite a challenge, especially since people don’t purchase tickets to come listen to you, but you have to get their attention with your music. It can also be difficult because of the negative stereotypes that surround this occupation. Many look at it as a dis-respectable career, something “educated, cultured” individuals wouldn’t indulge in. So, how does one fight against these stereotypes and challenges and become a successful busker? Here are some tips to help you out. There might be many mocking, critical voices, but if you wish to make it in the busking world, you need to toughen up and start believing in your ambitions. Busking is a wonderful thing to do as it helps you gain exposure and experience in performing in front of a crowd. It also spreads cheer among hassled, stressed-out commuters and passersby, for free! 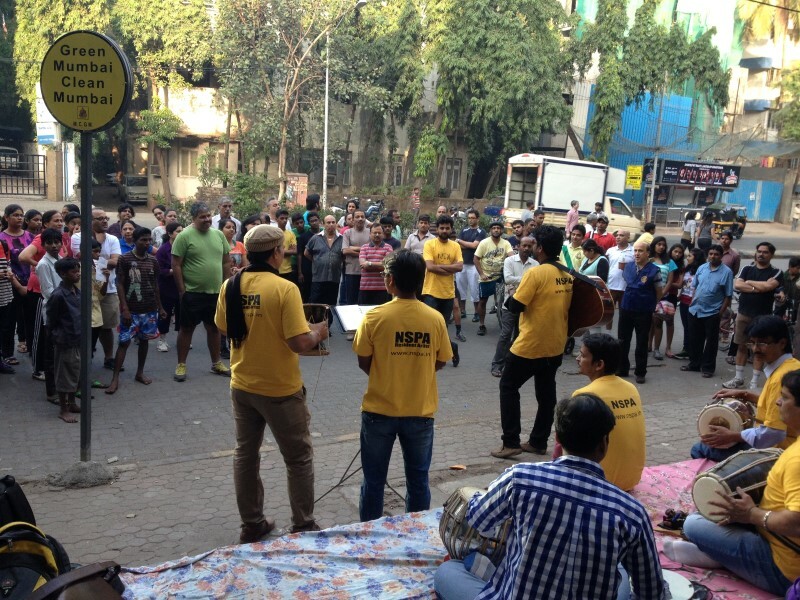 Each musician learns their own lessons through busking. By conversing with fellow buskers, you can learn about their experiences, what has worked for them in the past and what has not. Also, to get people’s attention, you need to come up with something creative. By collaborating or brainstorming with other musicians, you might chance upon an interesting new style of playing which you can present the next time you hit the streets. If you show up looking scruffy and unkempt, people will not take you seriously and therefore, will not take your music seriously. So, ensure that you look presentable. You could even sport accessories and props that complement the genre of music you play for a funky look. Show up on time. Don’t dirty or litter the surroundings you perform in. Also, don’t disrupt the peace and quiet with very loud music. Soft, melodious performances are preferred to booming, noisy ones. If there are buskers in your vicinity, greet them and be friendly. You never know, you might just find that violinist you’ve been looking for! Your song choice is very important when busking. People aren’t really expecting a performance and so, to get their attention, you must do something catchy. Performing an upbeat, cheerful number is more likely to get people interested in your playing. This being said, however, stick to playing the kind of music you like, because only then will you really believe in your music and nothing can be more heartwarming than watching a musician perform with passion. When busking, you’re on your own. There won’t be technicians or stagehands waiting to come to your assistance if you encounter a glitch. So, be prepared to deal with unforeseen issues like snapped strings, a sudden downpour or a malfunctioning amp. Carry along extras or replacements whenever possible. Also, tote along water, munchies to keep your energy levels up and gear to protect you and your instrument from harsh weather. Well, these were some tips to help you enjoy a street-full performance every time you busk. Happy Busking!